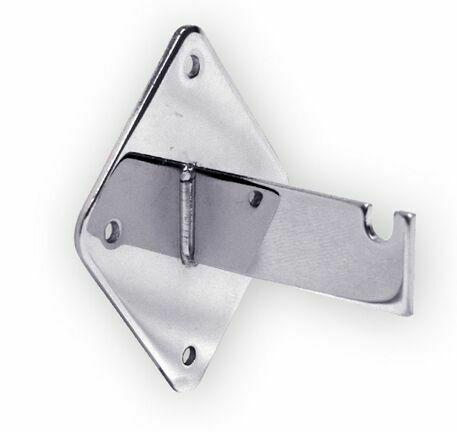 Bracket for mounting grid or slatgrid panels securely to walls. 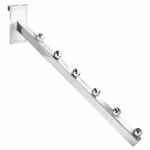 Each panel should be mounted using 4 wall brackets. Screws directly into wall. Screws not included. Colors: black, white, chrome. Standard Pack: 100pcs (any quantity can be ordered, broken box fee $3.00 will apply).